We all know what time of year it is. Midterms. For those of you young ladies out there studying is probably the last responsibility you want to have before spring break. Good news is Gary Felsten from the Journal of Environmental Psychology believes in a concept called Attention Restoration Theory or ART for short. His studies have found that taking a break from studying to go outside recuperates students’ cognitive ability. Today I have a few suggestions on how to keep ART in mind during midterms. 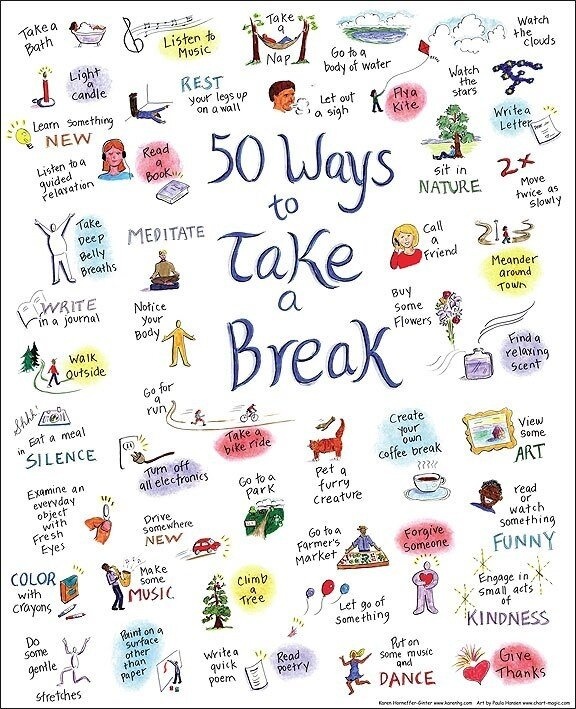 Check out this fun picture I found on Pinterest with 50 Ways to take a break below to get started. Personally, I have found a niche in destressing with yoga. 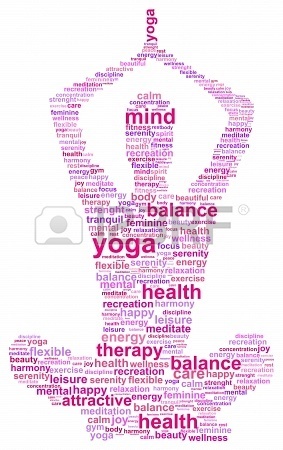 The term “yoga” comes from the Sanskrit root “yuj” or to yoke the mind and body together. With a variety of stretch techniques, yoga has proven to lower blood pressure and keep us calm. Whether you are a beginner, like myself, or an expert yoga is a wonderful way to realign your mind. A fairly new company that in my hometown of Albuquerque is Lululemon. This Canadian yoga studio has blossomed since it’s founding in 1998. Their mission is to help people to “live longer, healthier, and fun lives.” My favorite component of their company is that they have strong ties to their local communities by giving yoga workshops, job opportunities, high quality athletic products, and yoga tips. You cannot beat products that are meant to last for nearly 5 years. I always have had an exceptional experience going into our Lululemon store. Some opportunities they explain and provide are complimentary events every weekend. This includes a 30 minute run on Saturdays and a Sunday yoga class. As a sneak preview I am attaching my preferred yoga sequence for test week because it is quick and easy when you are busy. Yoga might seem a little intimidating if you never have done it before but the best part is it can be done at home. With a little searching on the web from sites such as Google, Pinterest, and even Lululemon.com there is a plethora of ways that you can rejuvenate during the stresses of midterm exams. If you want a visual check out this Youtube video link below! Best wishes studying everyone. Do NOT forget to make time for yourselves.